In the first half of 2013, NYU (New York University) WIRELESS Director, Theodore Rappaport, published Millimeter Wave Mobile Communications for 5G Cellular: It Will Work!, a paper that would change the way the world sees mobile networks. He and his team announced the possibility and path to 5G, the fifth generation of mobile communication. Until that moment, the use of high frequencies for mobile connectivity was in a distant future. The closest we were from that was with the 5.2 GHz (Gigahertz) Wi-Fi technology, whose signal, generated by a high-power antenna, can only reach about 300 meters. Rappaport, however, proposed a 28 GHz-38 GHz communication system. At the time, 5G was simply a theoretical possibility. The demands of the technology seemed quite high, even though attainable with the help of Rappaport’s writings. The telecommunications industry is responsible for multimillion transactions every day. This makes a project of this magnitude seem impossible to develop within a decade, since the higher the frequency, the shorter the distance the wave propagates. This means seeing at least a couple of horn antennas every block. Regardless of the difficulties, consumers demand technology that surpasses the capabilities of current 4G networks. While companies work hard to make 5G a reality, this demand pushes them to develop other technologies in the meantime that should help lay the groundwork for a proper 5G launch. Consumers’ demands evolve in every market. In the telecommunications market, consumers demands for faster networks increase with the introduction of every communications technology. About 20 years ago, the average user was what telecommunications engineers call “light users”. All they wanted was to access emails and search the internet, which doesn’t require a lot of effort from a network infrastructure. Nowadays, however, the consumer is a “heavy user”; he/she wants streaming, downloads, social media, etc., creating a necessity for higher frequencies and new technologies. This “heavy user” becomes heavier with time. From 3G to 4G and now, demands for even faster connections have begun a 5G conversation. However, the telecommunication’s infrastructure is extremely expensive, Moving from a MHz frequency (4G) to a GHz frequency (5G) is not that simple, it requires a great amount of investments and studies, which are already being done. In Australia, for example, the 5G roll-out is expected to take another year — to be launched in 2020. The consumer, however, demands more than a conversation, more than studies, and so the 5G infrastructure is quickly becoming a reality. As a result, as the wait for 5G continues, increasing consumer demand is driving 5G-like innovations even before the technology launches. Mobile technology is in a transitioning phase. Current 4G technology is dated, while 5G is not yet ready to launch. But the consumer can’t wait. In this in between limbo, brand new technologies are being released and companies are working with each other to develop products for several potential buyers. One major potential pre-5G innovation makes use of the Citizens Broadband Radio Service. Mobile companies like AT&T and Verizon are sharing airwaves with each other and with rival tech firms like Google. Telecommunications and equipment industries are putting aside some of their competitive differences to ensure the FCC (The United State’s of America’s Federal Communications Commission) approves a spectrum-sharing plan that will open military airwaves for commercial use across the United States. The idea is to use a wide swath of prime airwaves controlled by the Navy, known as Citizens Broadband Radio Service (CBRS). This allows companies’ access to premium frequencies, as long as the Navy still gets first priority. For instance, Verizon could use CBRS frequencies to let users stream movies at very high speeds on their smartphone. If Navy radar systems need to use the channel, a software run by companies like Google or Sony will shift that frequency to the Navy and move you to another channel without interrupting the streaming. Other channels will be shared by others with different levels of priority. CBRS also provides a new way to improve wireless service indoors. This is significant because approximately 80 percent of wireless broadband use happens indoors. It is also important in laying the groundwork for 5G, given the fact that such high frequencies that are capable of gigabit-speed can’t penetrate walls. The city of San Francisco used the airwaves for a trial of smart city applications, like wireless cameras and other devices. Google teamed up with Nascar, using the technologyto connect race cars to race track facilities via wireless broadband networks. The National Football League (NFL) plans on making use of the technology to improve communications between coaches and players via mini wireless networks. CBRS is seen as a fundamental stepping stone to 5G. The new spectrum-sharing system allows carriers to densify their 4G networks, being a logical precursor to adding more antennas and small cells for 5G. Several companies have an interest in these airwaves: cable companies, rural towns and rural wireless companies, industrial players and hospitals. Part of the delay in making full commercial use of CBRS results from the difficulty in agreeing on a priority set. In general, banks and hospitals are the priority, followed by heavy users – consuming the channel’s greatest part – and then light users. According to FCC, CBRS deployment in part of airwaves will be started as soon as equipment lab testing is complete. Other smaller companies have been earning their space in the market. Recently, the startup, Uniti Wireless, secured $5 million from the South Australian government’s Future Jobs Fund to more than double its workforce and take its NBN (National Broadband Network) alternative across Australia. Uniti Wireless is independent and uses a fixed wireless broadband network to provide users with high speed internet access. According to CFO (Chief Financial Officer) Peter Wildy, the Uniti Wireless customer base has grown by 130% over the last year. Also, over the past two years, revenues have grown 175%. Around March 2017, the startup raised a $3 million pre-IPO (Initial Public Offer) funding which Wildy considers to be key to such growth. The plan is to use the $5 million to create around 200 jobs in NBN’s engineering and software development, customer support, sales and marketing teams, as it continues its development in Adelaide and Melbourne, while also expanding to Sydney, Brisbane and Perth. 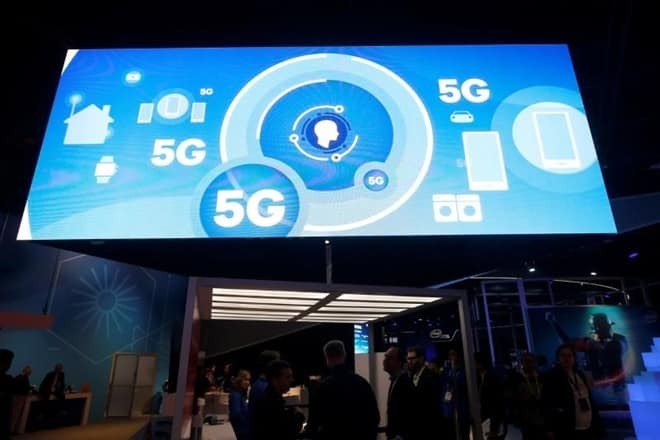 While consumers await the full launch of 5G technology, companies address their demands with new technologies launched for a never-satisfied market. As mobile telecommunications consumers evolve in their needs for speed, moving from light to heavy to even heavier users, technology must move along with them to satisfy that demand. The wait for 5G continues, but other innovations have the potential to answer the call. As the market finds itself in the in-between limbo located somewhere between 4G and 5G, such innovations are even more important to, not just answering the calls of customer demands, but to creating the infrastructure necessary for a smooth 5G launch.